The Hunters Stand is a very easy and quick kit to build. It's also a great example of how I like to use markers to finish our structures and details. 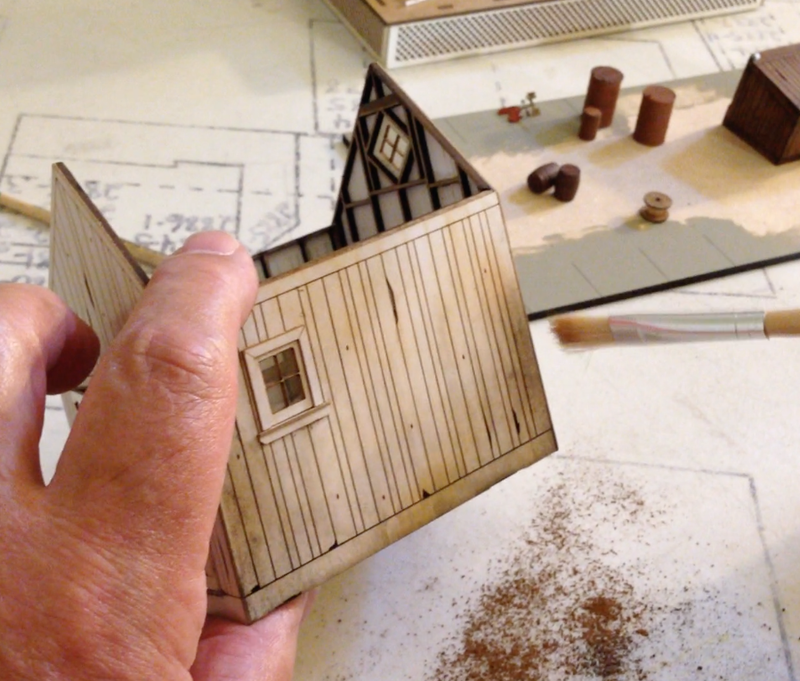 Check out the video for our tips on coloring and building the HO Scale Hunters Stand kit. An effective way to add a weathered appearance to model railroad structures and details can be easily achieved with chalks. I like to use AIM Brand weathering powders because they tend to stick well to surfaces. Artists pastels (not oil pastels) also work, but in my experience they do not stick as well. Enjoy the video (our first!) about using chalks to weather our structure kits. I recommend using yellow carpenter's glue. I even use yellow glue to adhere the window acetate in place on our kits. I've found that using an A-West bottle applicator makes gluing much easier. They come in five sizes. I use the white #158-35 (.035 OD and .023 ID) and the black #158-50 (.050 OD, .033 ID). Give them a try. I'm sure that you'll like them! Our latest build-up received some local media attention. The H-O Scale structure is available as a kit.